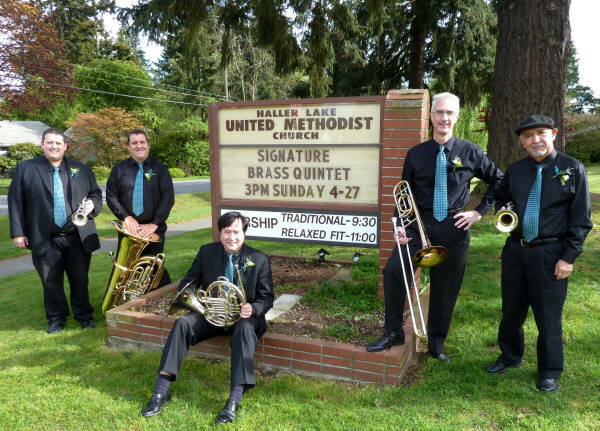 The Signature Brass Quintet performs around the Puget Sound area and is available to create a "signature" performance for any occasion. A program can be customized to your tastes from our large library of brass music. Contact us using the link below to discover how to include the brilliant sound of brass at your special event.